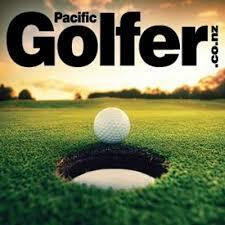 Welcome to Golf Coaching Tauranga / Mount Maunganui, New Zealand. If this is your first time here, I hope this is the beginning of something great for your golf game or the golfer you are looking to buy golf coaching gift vouchers for. Which is a really nice thing to do! Although, maybe you have been here before and are back to get hold of some more golf coaching – in which case, it’s great to be able to continue our golfing relationship! Anyway, if this is your first time here, I’d like to take a minute or two to point out a couple of things that you may find useful. The first thing that you may want to find out, if you don’t have any idea about me – is exactly who I am and whether I can actually help you – in which case, you can take a look at this page on golfhabits.com. Now that’s sorted, the other thing that you may like to figure out is just what sort of golf teacher or golf coach I am – which should be easy enough to get a feeling for after you have read through a few of the Testimonials from happy golfers that you can find here or take a look at this page which will outline just exactly what Ian’s beliefs are when it comes to teaching / coaching golf. From this point, you are probably trying to decide what sort of session you (or that lucky golfer you are buying a gift voucher for) should start with. To do that, I’d suggest taking a look at this page which will help. So, by this point you should have figured out that I have some pretty useful ideas about the game of golf, the ability to help a wide range of golfers to improve their golf games, an easy way to pay for golf coaching sessions or buy gift vouchers for someone else to use and a really outstanding way to keep a record of your learning, communicate with you, analyse your golf game……………………….it just goes on and on. I look forward to having the privilege of assisting you (or someone that you know) with the game of golf.